As the cold season draws to an end and the weather is getting warmer, it’s time to leave behind the heavy coats and wrap up in long tail cardigans. 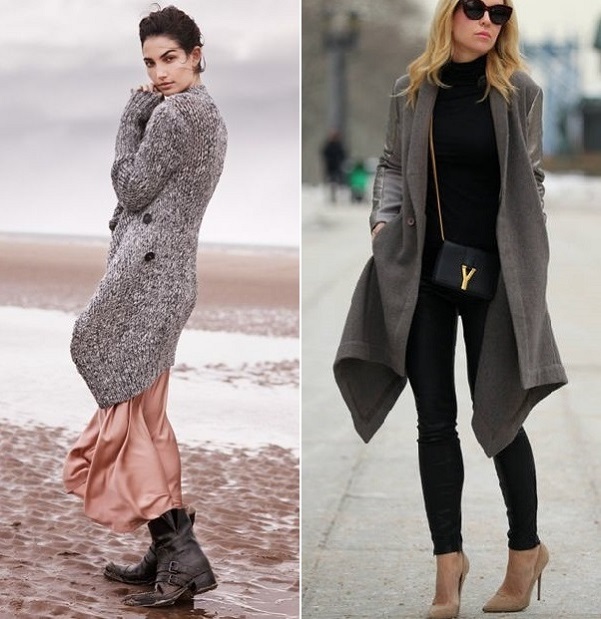 If cardigans are one of your favorite items, you are probably familiar with the challenge of combining one with a coat on top, thus making them the ultimate choice for the in-between seasons. A second layer is still essential for the cooler days, and cardigans are a great way of being prepared for any tricky temperature change. Both the long and the short, cardigans remind me of a gown, always adding that extra touch of elegance. Personally I prefer to put them over skinny jeans or any other flattering first layer in order to create an interesting contrast between the tapered and the layered. So here are a few delightful combinations to remind us that the right cardigan in terms of color, design and material can make us look and feel stylish. And if you are one of those who prefer a slimmer look, you could always put a belt on top to tighten up your image while adding just a touch of chic. Enjoy the inspiration.